The smart home was a future fantasy seen in sci-fi movies less than a decade ago. The good news for tech fans is that the future is here. Smart home and home automation systems are very much a part of our culture now, and improving quickly. They give users the ability to control appliances, lights, surround sound entertainment systems, music, thermostats, pool pumps, sprinklers, audio video systems, remote access control equipment, alarm systems, security camera systems, and more. And for South Florida residents looking for smart home installation Boca Raton services, there’s us. 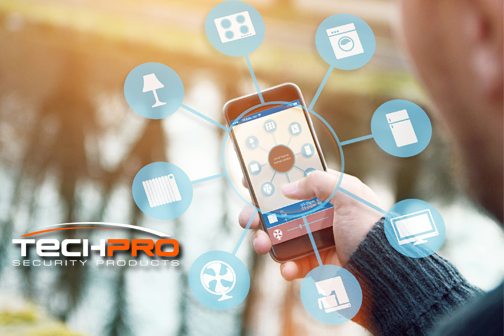 TechPro Security Products specializes in smart home automation installation services in Boca Raton, West Palm Beach, Delray Beach, and other surrounding cities. Our smart home installation experts know the most efficient techniques to connect all of your different systems and devices for easy control. Whether you know exactly what sort of home automation system you want or are just curious about our smart home installation Boca Raton services, give us a call. We offer free estimates and service quotes and aim for nothing short of complete customer satisfaction. 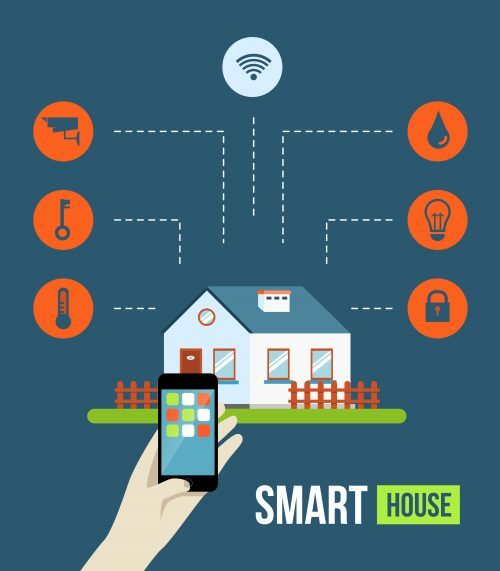 Call us at 561-922-8416 to speak with a professional smart home installation team member. Read more about smart home automation systems below and visit our website for a free smart home installation quote. The most impressive thing about smart homes is the increasing number of appliances and systems that can easily be controlled by you through a simple WiFi network connection. Take a look at the list below to see just some of the different things able to be connected and remotely controlled by setting up a home automation system. Though many people wonder what the difference between smart home and home automation is, they are one in the same. Every week there seems to be another appliance, device, or app that expands the number of things that can be integrated into a new smart home or current home automation setup. And it is this integration that we are most skilled at. Every new device or appliance you are trying to connect has to communicate with a central control panel. Trying to get new devices to connect without a professional grade system is where most people become frustrated and give up on their dream of having their very own smart home. Don’t waste the time, money, and effort of trying to get everything to work smoothly on your own. We offer our installation services at a fair, competitive price and guarantee to make sure your home automation system works as easily and efficiently as possible. Once the smart home installation process is complete, you will have complete control over all of your devices directly from your smartphone, tablet, and computer. That means changing the channel, dimming the lights, checking your security cameras, and even unlocking your door at the touch of a button. In fact, we are even able to set up custom schedules and preferences that match your own patterns. This means saving energy while you are gone but having the A/C kick on 30 minutes before you get home. The possibilities for what smart home and home automation systems are capable of are endless. That is what makes this technology such an exciting prospect for people everywhere. TechPro Security Products is located in Boca Raton, FL at 93 NW 11th Street. We provide our professional installation services for all of Palm Beach County and the surrounding South Florida community. We specialize in the installation of smart home products, home automation systems, security cameras, alarm systems, and more. Call us to make an installation service appointment at 561-922-8416. Or Contact TechPro Security for more information. And visit our website to find out more about our smart home or home automation products and services.